Hoop earrings by Stephen Dweck. 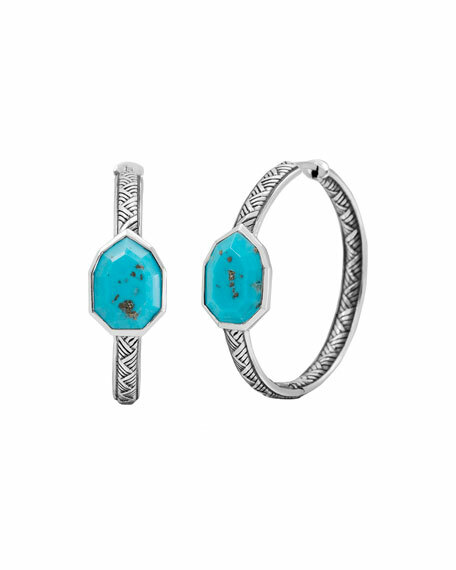 Pear-shaped, faceted turquoise at center. For in-store inquiries, use sku #2172901.